The teaser trailer and all the billboards plastered all over the world barely even tell you what the movie is about. "Your mind is the scene of the crime". Characters described as The Extractor, The Point Man, The Architect, The Forger, The Shade and The Mark. While it will in the end make some sort of sense, it's hard to slap one genre label on this movie. Psychological thriller, action, crime, Sci-Fi and even a love story. Don't worry, I'm not going to give anything away... I'll keep the story telling to a minimum. The Extractor, Dom Cobb (DiCaprio), is a professional thief that steals secrets from his victim's minds while in a shared dream state. These "secrets" are mostly highly sensitive information that rivals of the mark pay top dollar to acquire. What's really quite unique is the way this is done. Although, I'll leave that to you to see for yourself when you watch this movie. While for Cobb this is his "last job", which I generally hate in a movie, it's a last job for a reason. He's been on the run around the world for years. A fugitive in his home country, wanted for a murder he didn't commit, he's offered a job that can wipe the slate clean and allow him to return home to his family. While his main job is "Extraction", he is instead hired to perform "Inception". The process of planting an idea into someone's head. Again, what that idea is, I'll leave to the story tellers. The casting in this movie was brilliant. Leonardo DiCaprio alone, was absolutely perfect for this role. He wasn't just playing the lead guy in an action movie. Dom Cobb is this extremely complicated, tortured soul that has endured alot in his personal and professional lives which quite often become one. Watching Leo in this movie and ones like Shutter Island and The Departed really show you how much of a class act this guy really is. The rest of the cast were brilliant as well. Joseph Gordon-Levitt (500 Days of Summer) played a solid supporting role to DiCaprio as The Point Man. Keep an eye out for this guy because little Tommy from 3rd Rock from the Sun is hitting his stride and isn't too far from a starring role in a blockbuster movie. The Shade, Marion Cotillard (Public Enemies), plays Dom Cobb's wife and the ultimate "What's she gonna do next" character. Her performance was intense yet elegant at the same time. I was a little worried about the casting of Ellen Page (Juno) as The Architect but she actually did a really good job and was a key cog in this movie. Mentioned on the posters as "The Director of The Dark Knight", Chistopher Nolan is the genius behind possibly the best movie of the year. Nolan is also the writer, director and producer of Batman Begins and The Prestige along with The Dark Knight. He wrote and produced this epic too. So he's more than just in control of the cameras in his films. Funnny thing, this movie was actually pitched years ago but Nolan decided to wait a few years and get some experience with big hollywood flicks first. Experience he gained with the reboot of the Batman franchise. It was experience with these movies and creative preference that has seen Nolan make his movies with minimum special effects to keep a sense of realism, only using them when absolutely necessary. For me, Christopher Nolan has made the list of movie makers that will get me to a cinema for whatever they make regardless. That list is made up of Martin Scorcese, Quentin Tarantino, Robert Rodriguez and M. Night Shyamalan. So it's short. While Inception was never going to be as good as The Dark Knight, it wasn't far behind. This is an absolute mind f**k of a film with an original story, great cast, better acting and incedible action sequences. However, to truely apppreciate and even understand this film, it needs your full attention. If you are doing other things while watching Inception you won't enjoy it nearly as much as you should and probably won't even understand it. 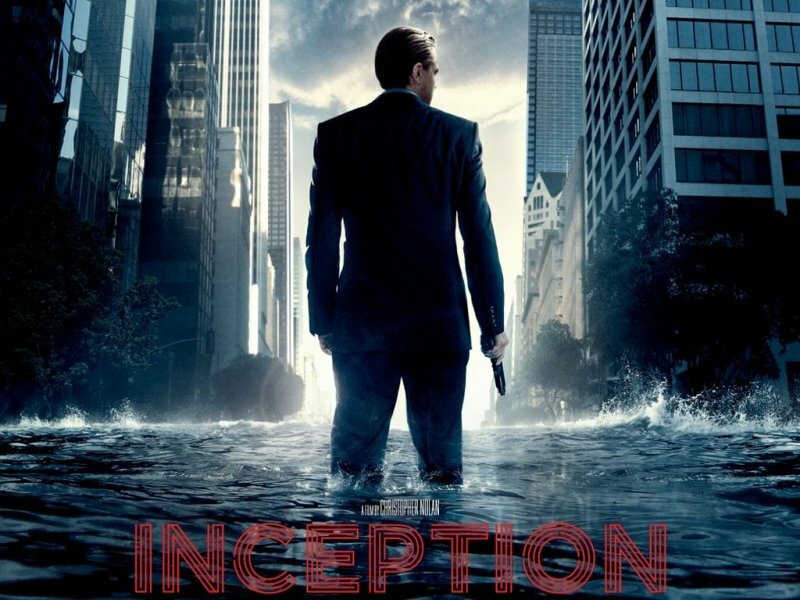 Inception is the second best film of the year behind Shutter Island (Starring none other than Leo). Watch them both.